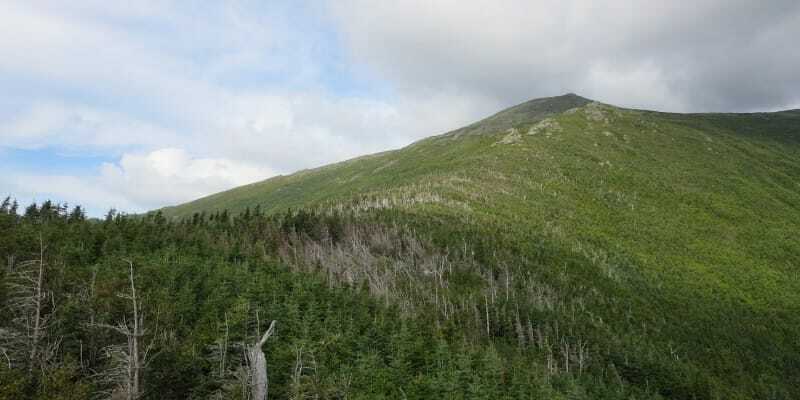 I’ve talked about New Hampshire’s Mount Adams as the underappreciated neighbor of the White Mountains’ most famous peak, Mount Washington, so where does that leave Mount Jefferson? As the cousin left behind, I suppose. Don’t fall for the trap and cast Jefferson aside, as it’s got a lot to offer in its own right. 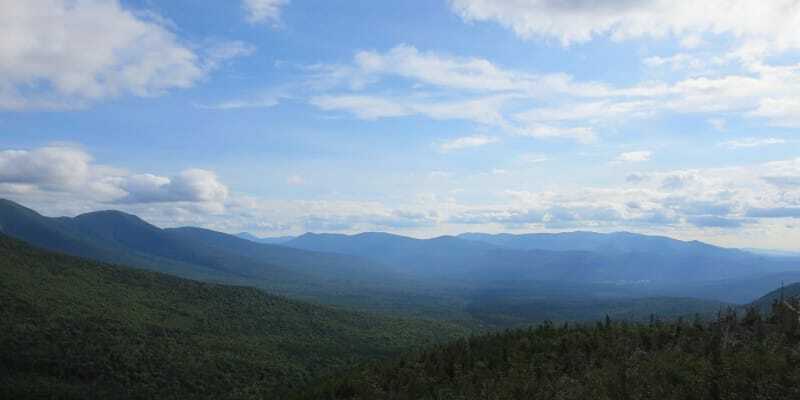 As the third-highest peak in the Whites, Jefferson closely rivals Adams and Washington with expansive views, and, get this, the route is lesser-traveled and the trail is much shorter. Victory! From Route 302 turn onto Mount Clinton Road, which is less than a quarter mile from the AMC Highland Center. If you miss your turn, head back for the Center. After about 3.5 miles, continue straight through at the intersection onto Jefferson Notch Road. Another approximate 3.5 miles on Jefferson Notch Road will take you right to the Caps Ridge Trailhead. The trail starts fast and steep, with a lot of big steps on rock-filled trail. But the steepness is only going to increase, as this is the relatively “easy” portion of the hike. 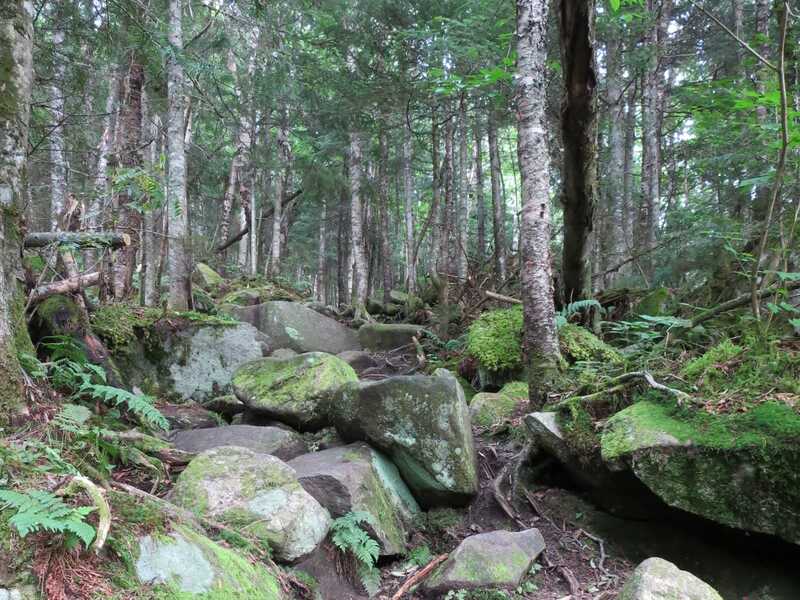 The hike gets steeper and includes varying levels of scrambling and exposure as it winds it way up to near 6,000 feet. 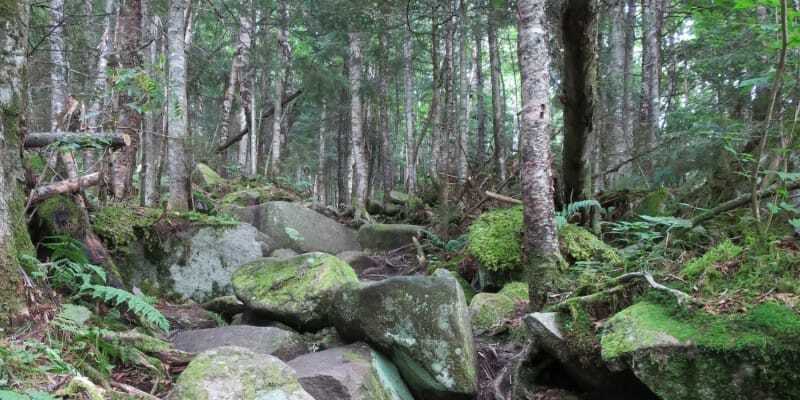 The early sections of the trail are green with life in the summer months, but don’t get caught looking around too much or you’ll hit a rock or two and take a tumble. After about a mile on trail, you’ll notice that some of the trees take on a more alpine feel – shorter, look ready to tackle fierce winter winds. Shortly after, around 1.5 miles in, you’ll arrive at the first of a series of “Caps.” The terrain here changes and is steeper and even rockier. 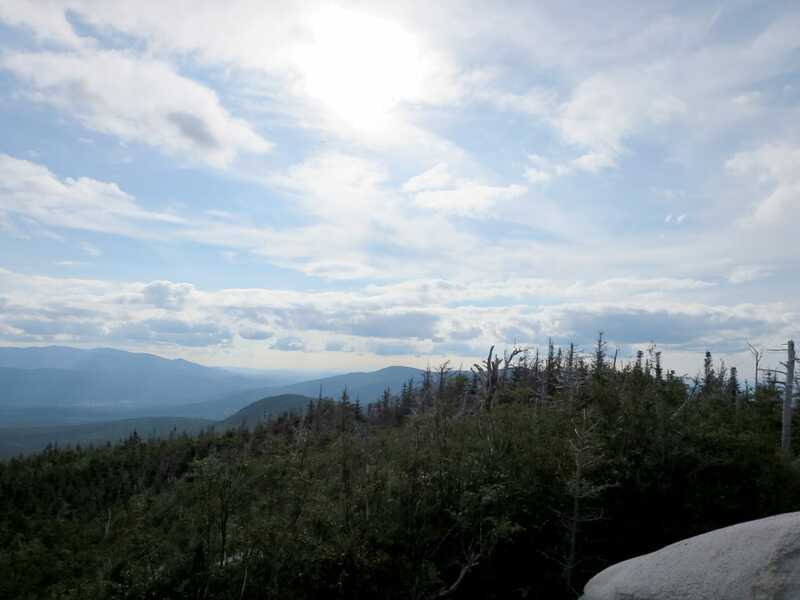 Take in the views of Mount Washington without losing your footing as you leave the Caps behind for the summit. Once past the Caps, about 2.1 miles into the hike, you’ll reach the intersection with The Cornice. 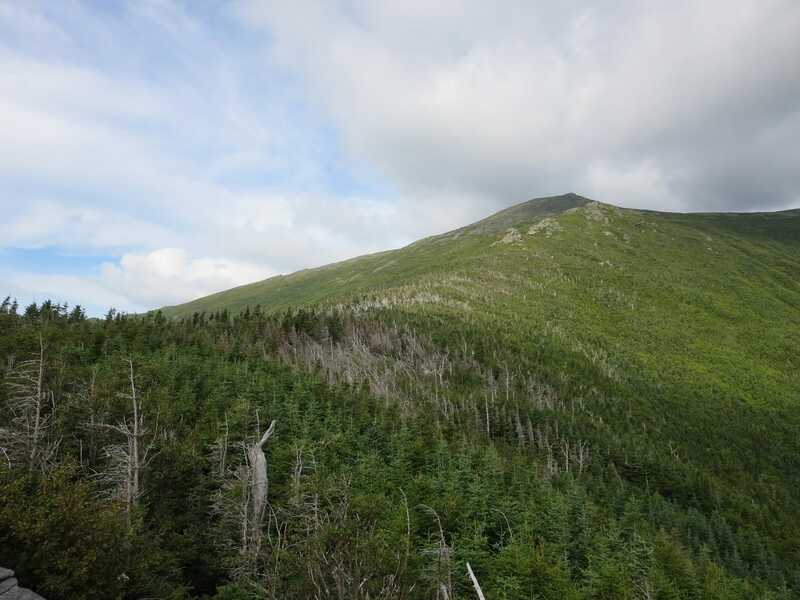 Continue straight, following the Caps Ridge Trail for another 0.4 miles to the third-tallest peak in New Hampshire. Scramble and pick your way through the rocks for the final stretch and sit atop the summit of Mount Jefferson. 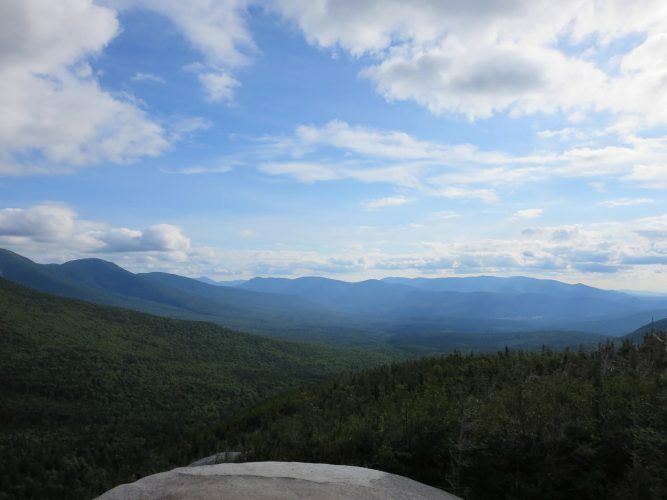 With clear skies, take some good snapshots of the 360 views that include Mount Washington, Mount Adams, Mount Madison and more. Found your site while searching for hikes in Maryland where I live now. Great site! I grew up in MA right on the NH border and got in to hiking as a young adult. Jefferson is a very underrated peak I must say! I liked it better than Adams (nothing but thousands of flies and gnats at that summit when I was there). Ever get to the Castle Trail? Now that’s maybe even steeper and definitely longer than Caps Ridge! Thanks – I agree, Jefferson is an underrated peak. I think I also agree that I like Jefferson better than Adams, although I need to give Adams a try when it’s not 40 below to give it a fair shot. Haven’t been on the Castle Trail yet but I’m planning to head back to Jefferson soon. I’ll check it out.